A fun night for moms and daughters of all ages!! 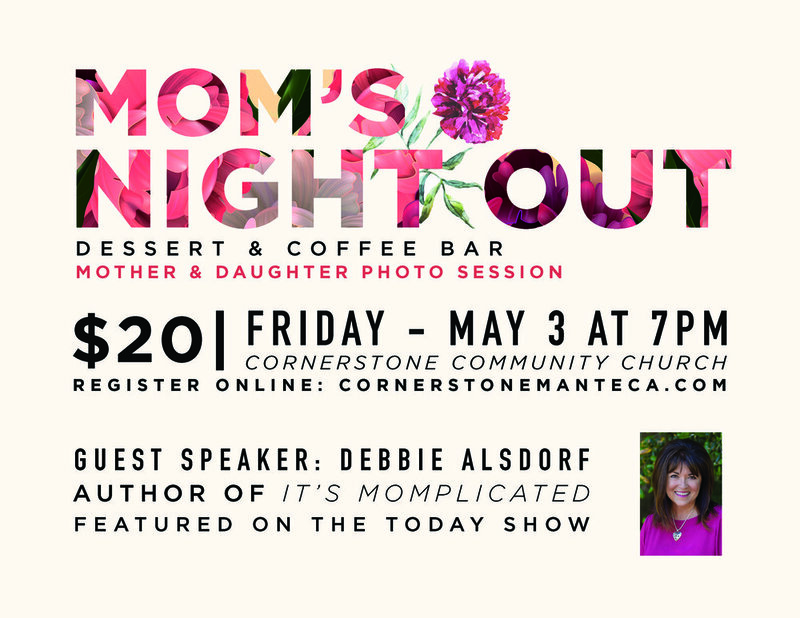 Be refreshed as we worship together and hear an inspiring message from our guest speaker, Debbie Alsdorf, author of "It's Momplicated" and featured on the Today Show. There will be incredible desserts and a coffee bar to enjoy. A mother/daughter photo shoot with professionally edited photos will also be included for all! You don't want to miss out on this great evening together.